Lord God, we pray about the large outreach happening in Venezuela, beginning Sunday. We are so concerned about Venezuela, experiencing possibly the world’s worst current economic crisis. Hyperinflation, food and medicine shortages, inconsistent electricity, rioting, political instability, sporadic school attendance… so many huge issues! So, Lord, we continue to bring these concerns before you. We ask for your intervention. We pray for the root issues to be resolved. But we also pray for this very specific outreach of Bible distribution and Gospel meetings. 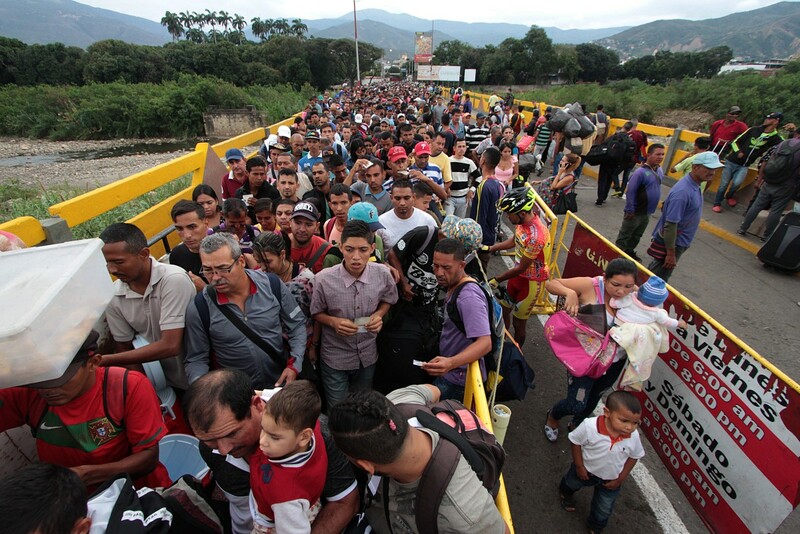 In the midst of the hopelessness and despair, may the 45,000 Bibles reaching Venezuela February 3 provide encouragement for those who receive them. May they bring light and truth into lives. May Franklin Graham’s Gospel festival happening in the border town of Cúcuta, Colombia, bless both Colombians and the displaced Venezuelans now living there. May these distributions of Hope do a great work in Venezuela, along with the medical care and shelter Samaritan’s Purse is also providing, which we ask you to continue to bless. In Jesus’ name we pray, amen. For more ways to pray for Venezuela, search "venezuela" in the prayer blog search engine.